2. Select the "File" tab, then "Add Account..."
3. 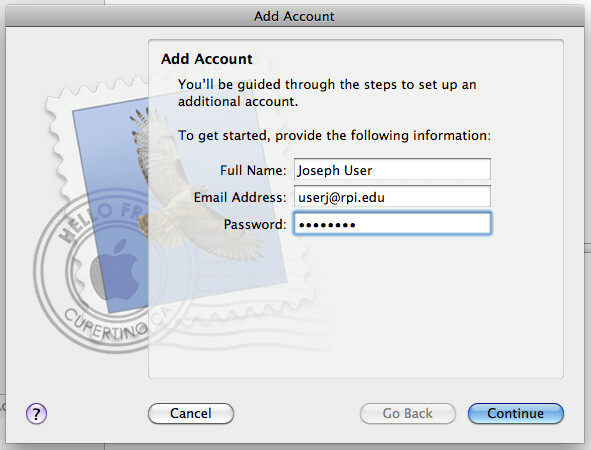 Enter your name, email address, and password, as shown in the example below. 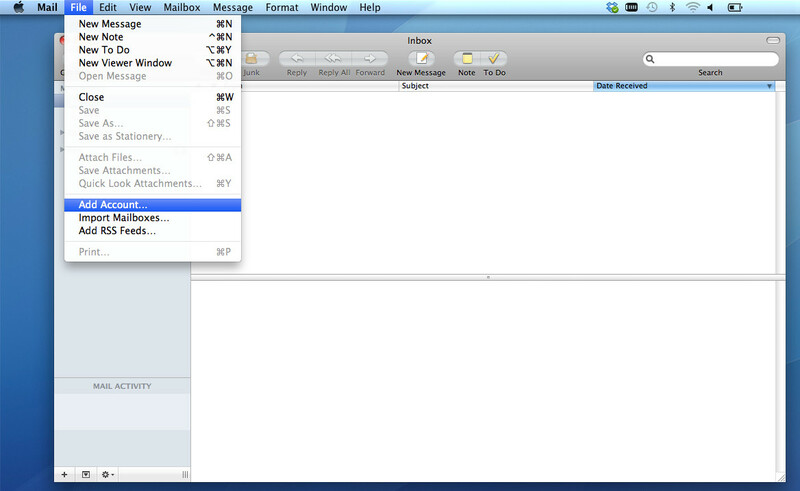 If MacMail has difficulty at this point, and is not progressing, click "Cancel", then click "Continue". 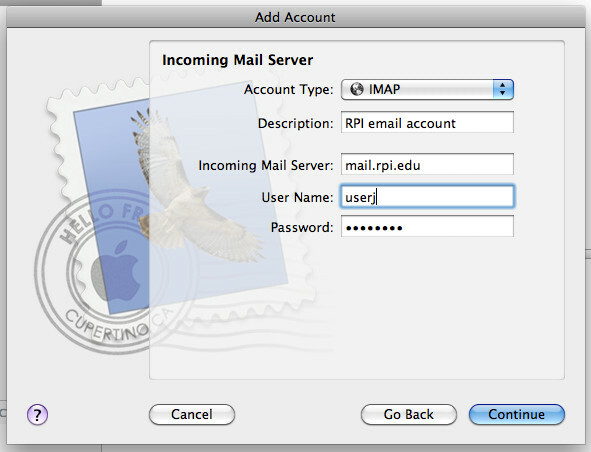 Your account should be summarized in the next pop-up window, with Incoming and Outgoing Mail Servers set to mail.rpi.edu and SSL: on.